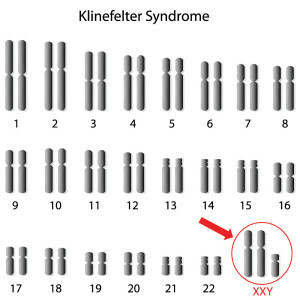 Klinefelter syndrome is a chromosomal abnormality in males, where there are two or more extra chromosomes and one Y chromosome (47, XXY), is found with a frequency of 1 in 800 live male births. 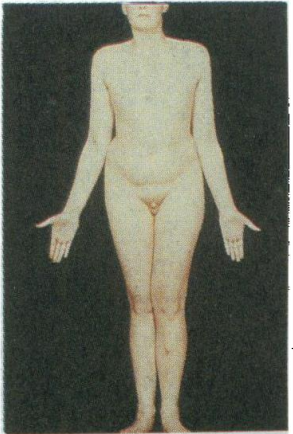 These males grow tall and have disproportionally long arms and legs (thanks to intersexual.files.wordpress.com for this image). They get into puberty at the normal age, but facial hair growth is very light. Between 50 and 85% of them develop gynecomastia (thanks to www.doctortipster.com for this image), which may have to be rectified by cosmetic plastic surgery. They have learning difficulties. 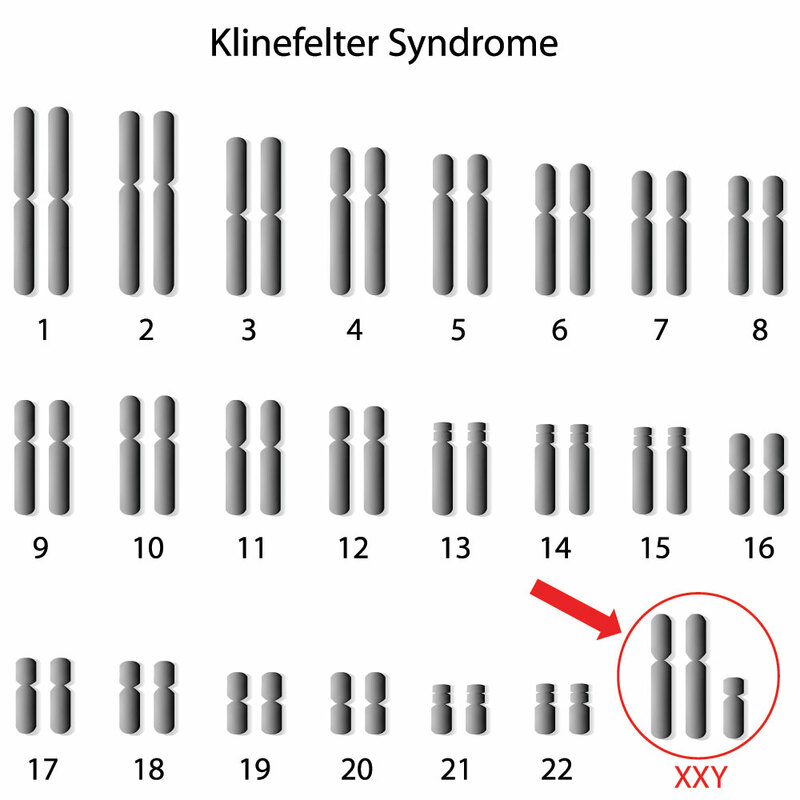 However, there is a wide variation and some males with Klinefelter syndrome have normal intelligence. Often this syndrome is only detected in infertility clinics. Their testicles are small and they do not produce sperm. As testosterone production in the gonads is missing or extremely low, they have high fsh in the blood because of the missing negative inhibition on the hypothalamus. This helps in the diagnostic work-up.